Atafeinam Abalo is a leadership coach based in Togo, West Africa. Ata has a PhD in Geology, is President of AFEMET Association of Women Mining and Business in Togo, and a lecturer in geotechnics and mining at the University of Lome. 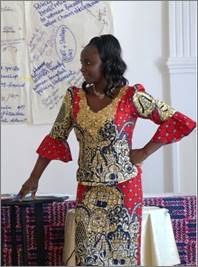 She is a role model for girls and women in Africa, being one of the few Togolese women working in a male-dominated sector. Ata is one of the coaches of the GIZ team. 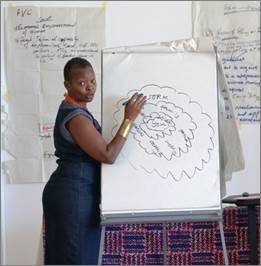 Thembela Njenga is a trained coach, experienced process facilitator, and economic justice activist. She is the founder of Womaniko, focusing on diversity and women in the workplace. With over 20 years in the development sector, local and international, her expertise includes policy, advocacy, campaigns, M&E, and broad CSO management. Thembela has an MA Policy and Development, BCom Hons Industr Psych, and BCom Hons Econ. Her clients include OXFAM-GB, Department of Social Development, PACSA and Nkuzi Development Trust, The Lutheran Church of Southern Africa, Rand Mutual, Africa Rainbow Minerals, Trust for community Outreach, Reasonate, and Shukumisa Coalition. Thembela has joined the GIZ team of coaches. Christine Guchu is the Director of WMG Management Consultants Ltd and an Integral Master Coach™ based in Nairobi, Kenya. She coaches CEOs from civil society, the private sector and government in East Africa. She has over 24 years of experience as strategy consultant and trainer, developing turn-key strategies and support-structures through organizational development and as Integral Master Coach™, especially for leaders and board members. Because of her intuitiveness and outstanding facilitation skills, her strategic making processes have had breakthrough and sustainable results. Christine was one of the coaches of the GIZ team. Berenice, also known as Bear, is a clinical psychologist with more than 20 years experience in management and consultancy in the non profit sector in Southern and East Africa. She has developed and edited learning materials on trauma counseling, psychosocial support for children and youth, supervision, and financial management. Berenice has facilitated programme evaluations in the region for local and international organisations. She has facilitated numerous training workshops in Africa, Germany, Austria, Hungary and Iraq. Bear Meintjes and Mo Salomon compiled for Iranti-Org a Leadership and Wellness Self-study Guide for leaders of transgender- and intersex organizations in East and Southern Africa. Eleanora Naidoo, also known as Ellie, is a nurse educator and yoga teacher. A passionate advocate of the healing benefits of yogic posture, meditation and authentic natural healing remedies. Currently complementing her expertise with acutherapy and counseling. Ellie is part of the Korumo Yoga at Work team. Heidi van Rooyen combines science, coaching, and creativity in her work as executive director in a large research organization and Professor in Public Health. 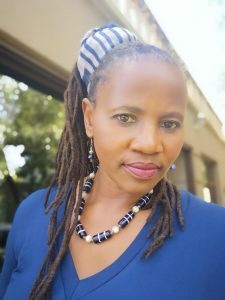 She leads research programmes that explore the intersections of health, gender identity, poverty and inequality, to inform policy and practice. Heidi juggles her leadership responsibilities with the academic demands of publishing, conferencing, and generating ideas for research. Central to this balancing act is a daily writing practice. Heidi is a certified coach, runs retreats and workshops on contemplative writing practice, and walked the Camino in Spain. Heidi van Rooyen offers writing retreats. Together with Mo Salomon she led the Writing Retreat: finding voice through the body and breath. Mo Salomon is an associate of Thoughtsmiths, a coaching company that offers high quality strategic support and coaching skills training. Through this partnership, Korumo Coaching for Transformation seeks to promote coaching as leadership skill in the social justice sector. Mo Salomon is an associate of Spring Strategies. 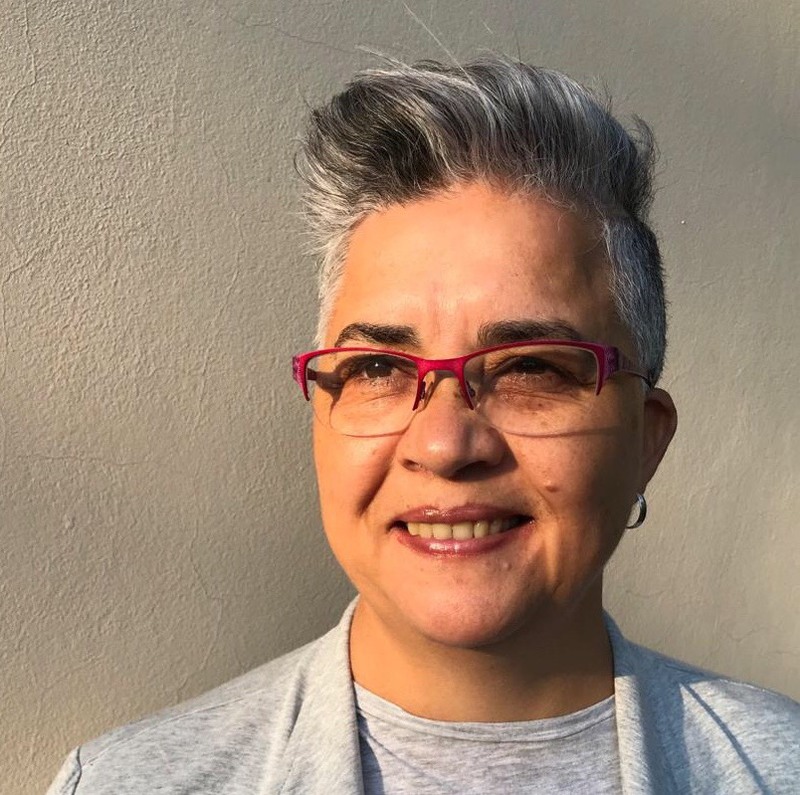 In 2018, they provided facilitation support to CEO Ellen Sprenger in Harare for HIVOS Southern Africa during Spring Forward, a training and coaching programme in Financial Resilience. Mo Salomon is a speaker for Arctic Fox Talks, a programme of inspirational talks and workshops for leaders and their teams to promote a positive work-culture in which all can thrive.